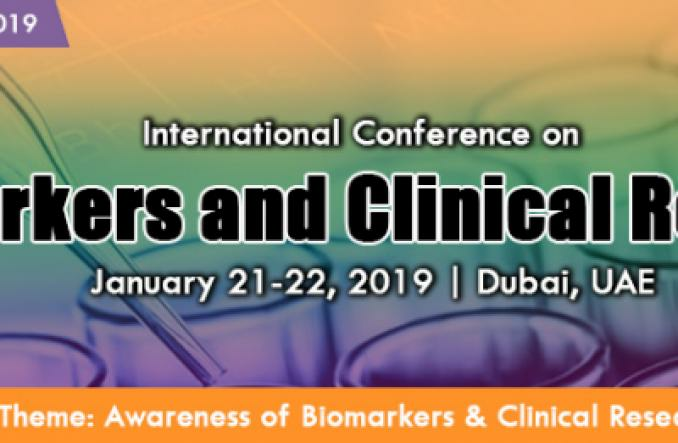 We welcome you to attend the International Conference on Biomarkers and Clinical Research from January 21-22, 2019 Dubai, UAE. Which melds brief Keynote presentations, speaker talks, Exhibition, Symposia, workshops and special sessions. This event is CPD Accredited. International Conference on Biomarkers and Clinical Research added 1 new photos. Stella Jordan created a Event listing.